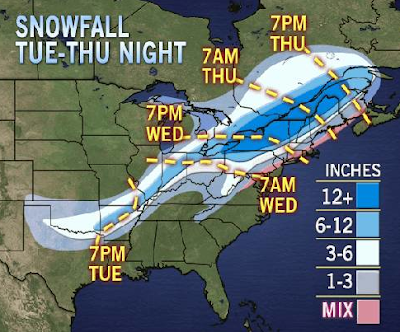 AccuWeather Regional Radar shows snow increasing in fall rate and spreading east which is in shades of blue. 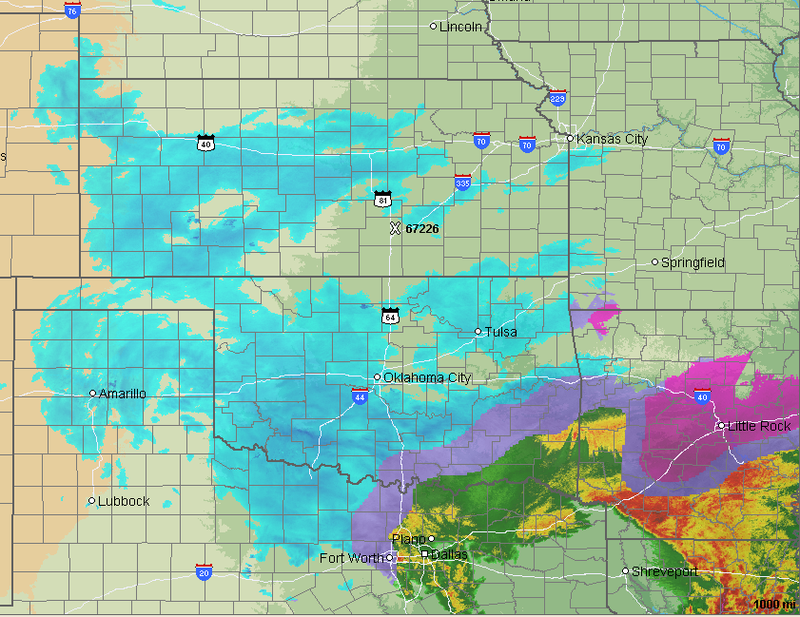 Heavier snow rates are denoted by darker shades of blue. Two inches has accumulated in Colby, KS (on I-70) and 3" near Edison, KS The blizzard warnings and winter storm warnings are unchanged since the last winter weather posting (scroll down). 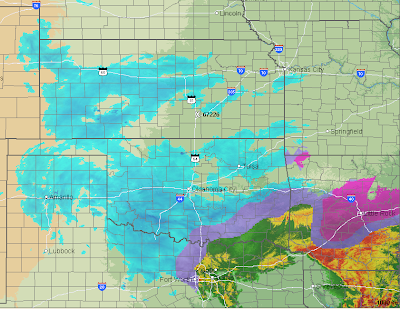 The purple is Arkansas is mainly freezing rain which will make roads extremely slick. A rare Particularly Dangerous Situation Tornado Watch has just been issued until 8pm that extends the high risk of tornadoes into southern Mississippi and western Alabama. 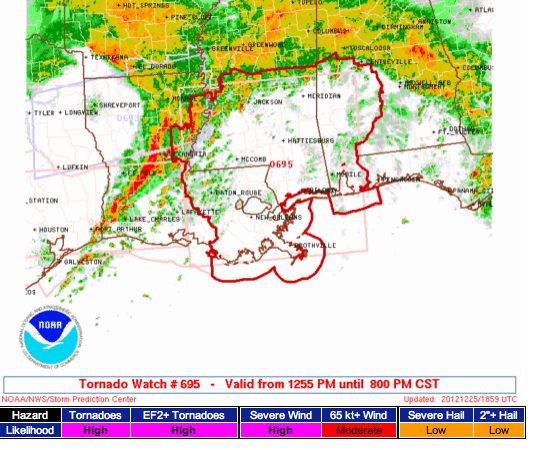 Note there is a "high" risk of violent tornadoes of EF-3 intensity or stronger. 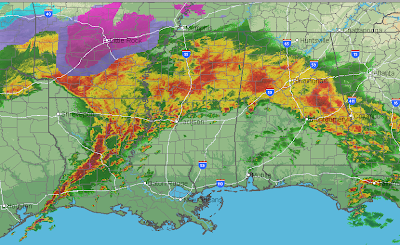 In the South, the squall line is moving rapidly east into and through western Louisiana. 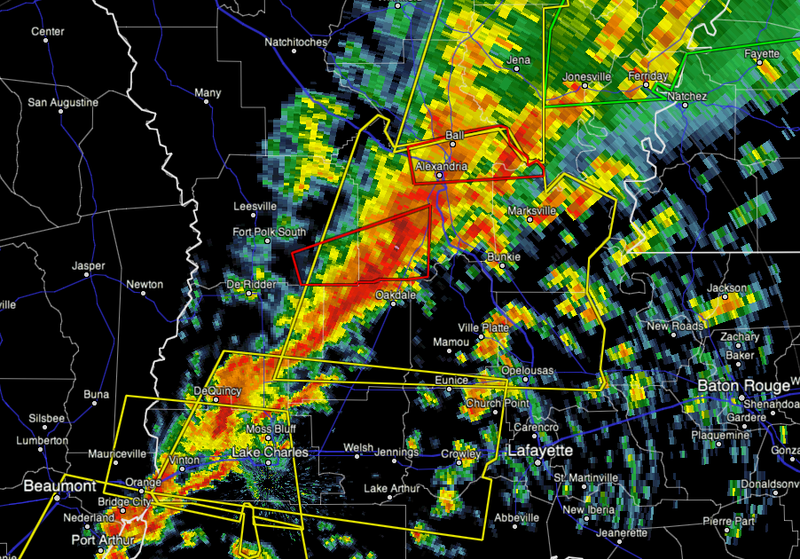 Two tornado warnings are currently out. The tornado warnings are the red polygons. Yellow are severe thunderstorm warnings for damaging winds and large hail.